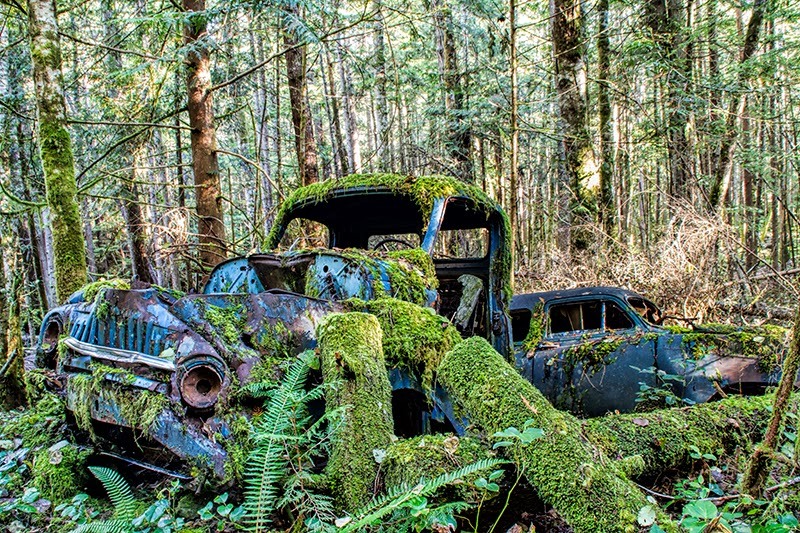 There's a graveyard for rusty old cars and trucks in the forest close to where I live. You have to walk a ways to get to the spot where about 15 vehicles came to their final resting spot, to be taken over by moss and ferns and mushrooms...all that the forest has to offer. I'm not sure what the story was, how they ended up there. But to me there's something fascinating about a sight like this. I guess it's because it shows that Mother Nature rules supreme, and sometimes I enjoy the feeling of surrendering to the force of nature.